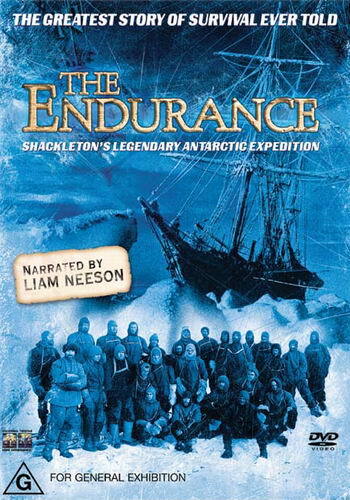 Brief Synopsis – Documentary that explores the voyage of Shackleton and his crew on the Endurance as they attempted to reach and cross the continent of Antarctica. My Take on it – Very intriguing documentary that tells the story of a history expedition that was nothing but eventful for those involved. They give us clear insight into the way that the voyage played out via tales from the descendants of the survivors, journals and and even historic accounts of the journey these men undertook. Liam Neeson does a great job narrating the story and helps place us in the right mindset for such a story since on the one hand it feels so foreign to viewers today to see things like this that happened worlds ago, yet it still feels within reach since it happened in relatively recent memory even if that’s only a century ago. They use real footage and pictures from the voyage and re-enactments to help the viewer understand the situations that these men faced and we care much more for the crew during this very treacherous and deadly journey. Bottom Line – Great depiction of what happened during this historic expedition. We get great insight into the voyage via tales of descendants of the survivors and through other historic accounts of the expedition. Neeson is great as the narrator and helps place the viewer in the mindset of the story that may seem quite foreign to us since it happened worlds ago, yet is still within the distance of recent memory. The use of reenactments and real footage from the time helps make the viewer understand and care much more for the crew and their plights during this treacherous and deadly journey. Recommended!